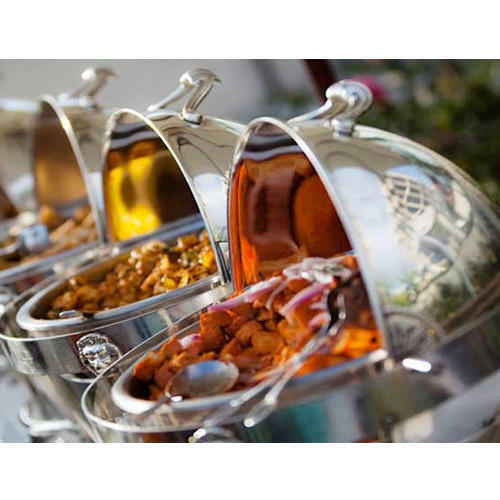 Through regular research and development, we are offering an exclusive collection of Wedding Catering Service to our valuable clients.We are engaged in offering Wedding Catering Service to our client. We are able to prepare and serve food for all levels of events. From starters to the main course and from drinks to beverages everything is the widely reckoned specialty of our expert team. Further, our chefs and cooks make sure to use best in class ingredients to impart total quality to the clients.our Wedding Catering Services to clients. All the planning is carried out by our skilled professionals, who take care of wedding invitations, the ambiance of the place, design, theme and other things. We can also personalize the event as per the requirements of clients.